2. Please wash with temperate soap water or liquid laundry detergent. 5. Please do not wash it with white or light color clothes. 5.Please discuss with us for the appropriate delivery method. 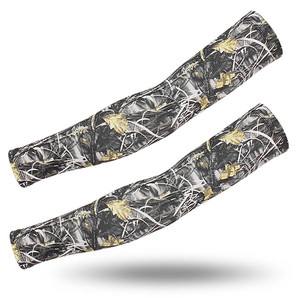 printed arm sleeves 2. 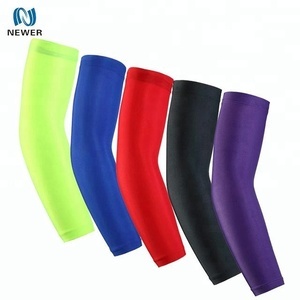 Are you a manufacturer or trading company9 wholesale arm sleeves Manufacturer. 4. What is your MOQ (minimum order quantity)9 track pants,sports bra In stock:300 pieces per design with mixed sizes. 6. What's your sample policy9 training bra,waist bag,elbow sleeve,sports bra Provide free sample, shipping cost in your side. Packaging & Shipping Package: 1. 1 pcs packed in a polybag; 2. 5 pcs put in a standard carton box(45cm x 45cm x 38cm); 3. Shipping mark can be printed as per customer requirements. Quality control: 1. Full inspection, QC staff check finish product piece by piece; 2. Needle detector scan metal parts before final packing. 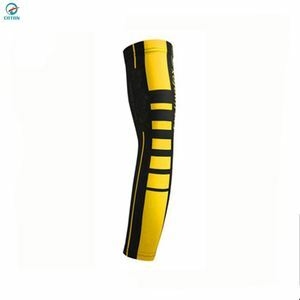 We accept orders with flexible MOQ, from 1 piece to thousand pieces; We provide professional and prompt response to our customers inquires, all messages replied within 24hours; We provide a wide range of quality fabric with various colors for customers choice; Professional factory for high quality sublimation custom arm sleeves for kids. 2.Our Mission We built Square Accessory to give customers better service. More than 100 designs available stock which can be sell 10 pcs per design. 5.How about the delivery time 9 Sample time :2-7 days after artwork approved. 2. Phthalates standard for Europe, color fastness to rubbing and perspiration 3. Price is very competitive (every month we produce more than 50,000pcs) 4. Features: soft but strong. Various patterns 5. Material: 80%polyester+20%Spandex (can be customized) 6. Color: could make with any Panton color required. 7. Size: S/M/L/XL/XXL 8. Packing: high quality/as customer required Packaging & Shipping we pack each pair in polybag and 100 pairs in one export carton. is a professional manufacturer of various kinds of gloves,hat and scarf. We have over 10 years of experience in manufacturing and selling gloves/hat/scarf and other fashion accessories. 4.as a Manufacturer, use eco-friendly material to make products which good for your health. Our compression wear is very fashion, make you look cool even you are sweaty! 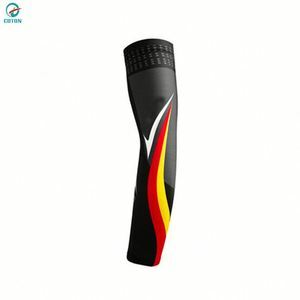 We have more than 10 years experience to make sports wear and export goods. We can make different size products for you, including American size, European size and Asian size . It can keep you cool in the hot condition and warm in cold condition. Add the skid-proof silicone band inside this arm sleeve on the top, avoid skidding down. Perfect for outdoor activity, such as climbing, riding, cycling, etc. This fabric is a elegant quick dry sports performance fabrics, with very good moisture wicking function, and the first class quality, good dyeing color fastness fabric. 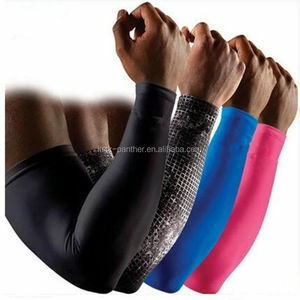 * Designed with professional compression shirt for cycling, running, and gym fitness sports athlete in mind, this compression shirt is constructed as base layer using a mixture of luxurious performance fabrics, that provide a controlled stretch and a next-to-the-body fit without compromising freedom of movement. Exhibition products Our Advantages 4 needle 6 thread sewing machine the flat lock stitching sewing process, there is no seam allowance with layers folding to the underside. 4. Stretch Polyester, Lycra fabric blend moves moisture away from your arms for cool, dry comfort 5.On time delivery cia DHL /UPS express If you fell intresting. Do not hesitate! please contact me! 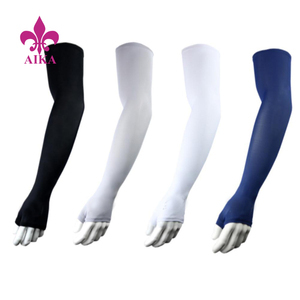 Alibaba.com offers 774 plain arm sleeves products. About 16% of these are cycling wear, 3% are elbow & knee pads. 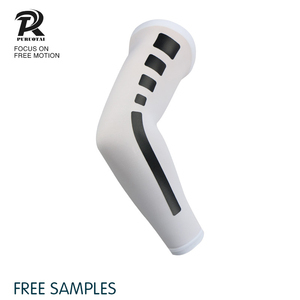 A wide variety of plain arm sleeves options are available to you, such as free samples, paid samples. 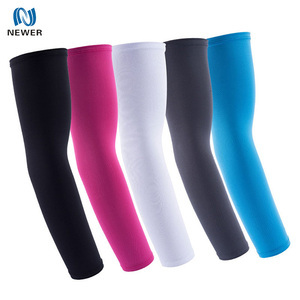 There are 776 plain arm sleeves suppliers, mainly located in Asia. The top supplying countries are China (Mainland), Pakistan, and India, which supply 78%, 18%, and 1% of plain arm sleeves respectively. 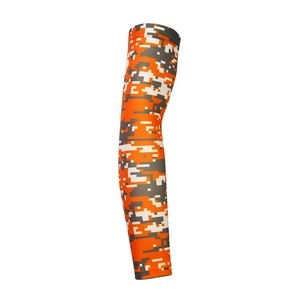 Plain arm sleeves products are most popular in North America, Western Europe, and South America. You can ensure product safety by selecting from certified suppliers, including 97 with Other, 38 with ISO9001, and 28 with BSCI certification.